Don’t want to pay for the cost of a car rental on your next family vacation? Neither do we. Leave the car keys and added expense at home by choosing a family vacation destination that doesn’t require a rental car. In these destinations, public transportation is easy and affordable, or you can easily get to everything by foot. These are the best family vacation destinations that don’t require a car rental. Families don’t have to worry about renting a car on Mackinac Island because they can’t; in fact, the Michigan island is only accessible by boat! There are more than 1,500 bikes to rent, though. 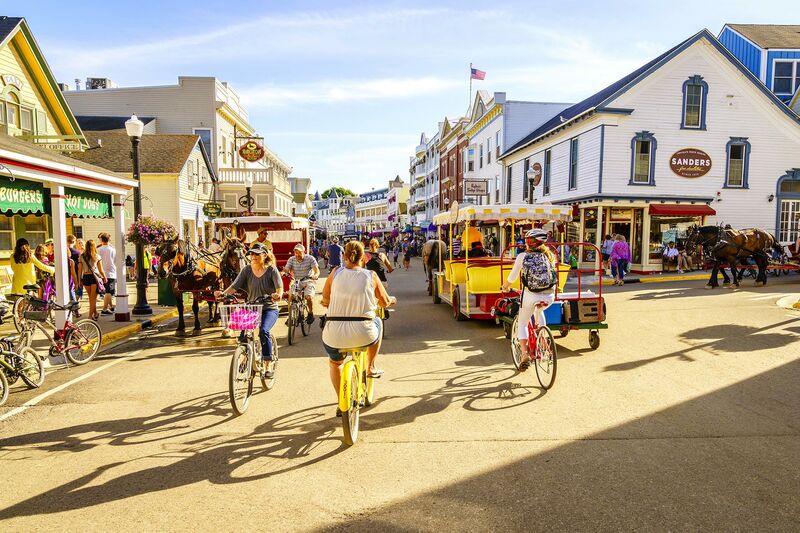 Your family will love pedaling around Mackinac Island to explore the butterfly house, state park, museums, beaches, and candy shops. Along with the bikes, there are electric scooters, tandem bikes, burley bike carts for kids and wheelchairs for those who need to rent them. Walking tours and horse-drawn carriage rides are excellent ways to tour the island, as well. It’s easier to navigate Boston by its “T” subway system than it is to drive its congested highways and cobblestone streets. The T is easy, clean, and affordable; in fact, up to two kids per family who are ages 11 and under ride free! The MBTA, Boston’s full public transportation system, connects at Logan International Airport and will reach most attractions in downtown Boston and Cambridge. Visitors can purchase a single ride, or a daily or weekly pass that allows for unlimited travel. Once you arrive at your T stop, Boston is a very walkable city and taxis are always available. No “cah” rental is needed! 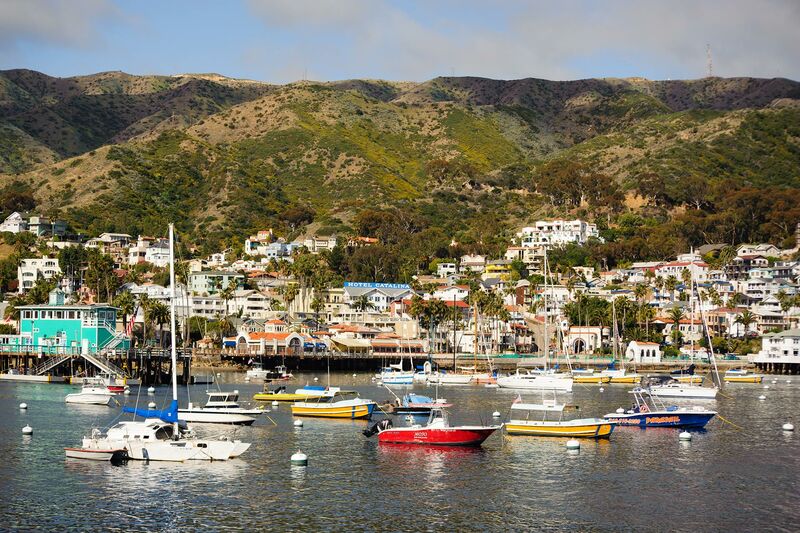 The main town on Catalina Island, Avalon, is only one square mile and cars are highly discouraged for that reason; there’s actually a 20-year waiting list to own a car on the island! 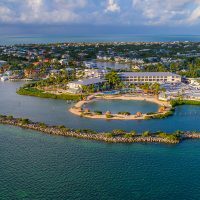 After arriving by ferry boat, visitors are greeted by taxis and shuttles ready to take you to your lodging or activity, where you’ll be finding other modes of transportation — as in golf carts and bike rentals. In the summer months, an open-air trolley operates on the island. Situated across from Cedar Point Amusement Park on Lake Erie, Put-In-Bay and Kelleys Island (part of Ohio’s collection of islands) do not require a rental car when visiting. While vehicles are permitted on the islands and can be transported via ferry, golf carts are actually the best way to get around. Since the carts can be used on actual roadways, a valid driver’s license is needed to drive one. Families will love carting around town to explore the caves, wineries and lighthouse. Bikes and walking are also great ways to get around either town, too. And when it’s inevitably time to visit the “Roller Coaster Capital of the World,” you can ferry over to Cedar Point Marina with ease. Much like Boston, Philadelphia is a very walkable town. A Philadelphia city block is considered “shorter” than a New York City block (20 blocks in NYC and less than 15 blocks in Philly equal 1 mile). 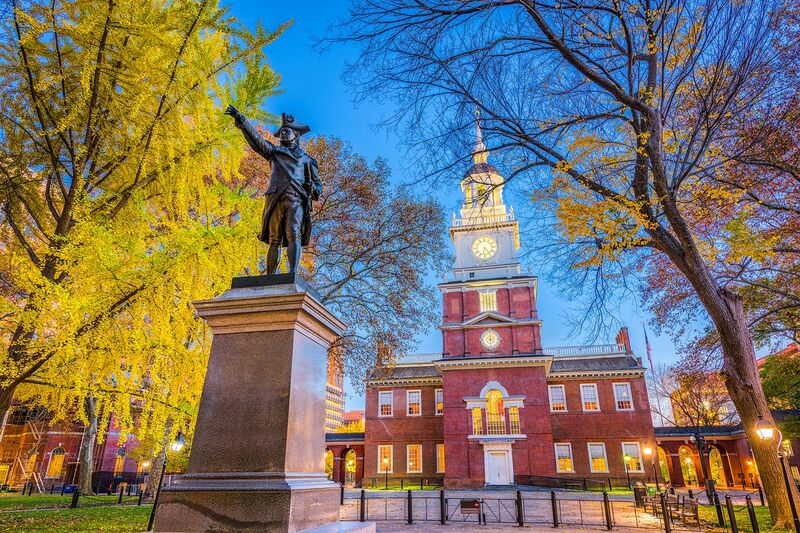 Families can give credit to William Penn for creating the easy-to-navigate grid system in Philadelphia; Penn envisioned a city plan with broad streets from the river to the suburbs and that’s exactly what you’ll find. The subway and train systems are fairly easy to navigate, and taxis and Ubers are easy to find. Bike rentals provide a fun way to get around the city in the warmer months, too. 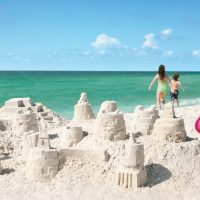 Whether visiting St. John for the day or staying on the island for a week, families can and should avoid the extra expense of a rental car here. It’s actually easier to find a taxi or hop on an open-air shuttle tour of Virgin Islands National Park than it is to rent a car of your own. St. John’s two major resorts and some of its smaller hotels also offer shuttle or car service from the ferry dock. To get to St. John, simply take the ferry from St. Thomas. If you choose a Disney hotel that features airport transportation via Disney’s Magical Express, there is really no reason to pile on the extra expense of a car rental. Let Mickey Mouse take care of the logistics! Select Disney World Resort hotels (and other Orlando hotels) feature complimentary transportation to all the Disney parks and water parks. The pick-up locations are always well marked at the hotels and easily transport families by monorail, shuttle bus or boat. 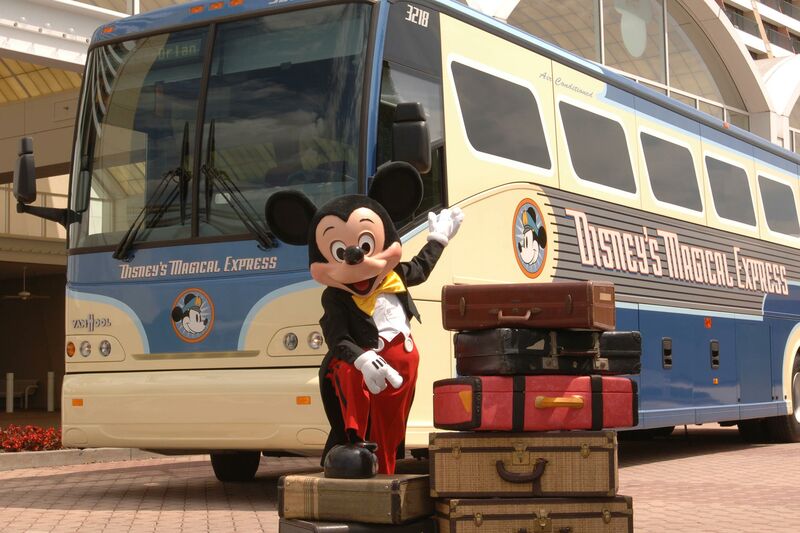 Guests who are not staying at a Disney Resort hotel are also welcome to use the Disney public transportation in order to connect to the various parks. London’s underground rail system, “the Tube,” is one of the world’s most efficient public transportation systems, and allows families the luxury of not needing a rental car. There are 11 Tube lines, most of which run from about 5 a.m. to midnight daily and have later service on Friday and Saturday evenings. The Tube system is simple to navigate and reliable. Families can even plan ahead and purchase an electronic smartcard called the Oyster card, which is used to pay for public transport in London. The Oyster card allows people to add credit to the card anytime but you can have it shipped to your home before arriving in London (or purchase onsite at one of the Tube stations) for added convenience. The only negative to the Tube is if you’re traveling with a stroller, as most tube stations do not have elevators. But strollers are permitted on the escalators as long as you are confident in your balance and the stroller itself. A fun alternative that the kids will love is motoring around in an English-style taxi cab (which can easily fit a stroller in the trunk) on the left side of the road. The best way to get around the small island of Isla Mujeres is by golf cart! In fact, many of the resorts don’t provide parking spaces big enough for cars (only golf carts), so renting any other vehicle proves to be a hassle here. And once you arrive at one of the island’s fabulous family resorts, we bet you won’t have much desire to go anywhere! 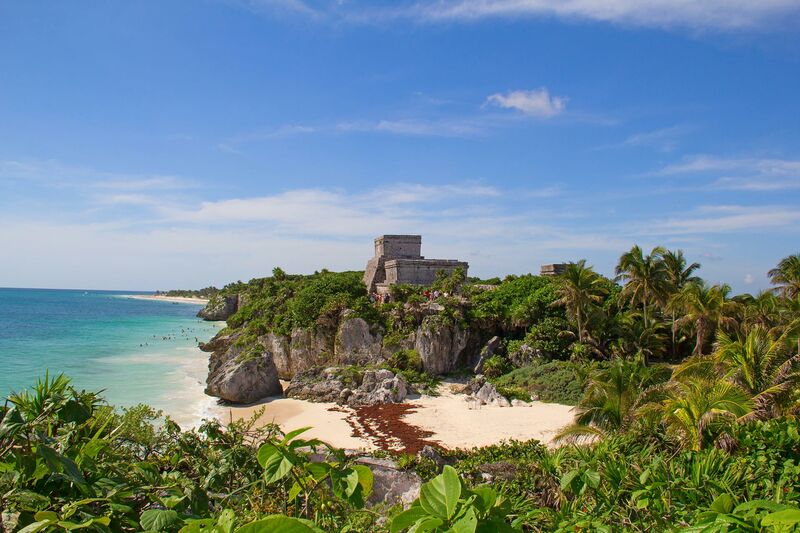 Tulum is about 90 minutes to two hours from the Cancun Airport, so you’ll need to secure a hotel shuttle or taxi service to reach your accommodations. But once you arrive in Tulum, there is no need for a rental car. In fact, it’s faster to maneuver around Tulum by bike or on foot than it is by car. 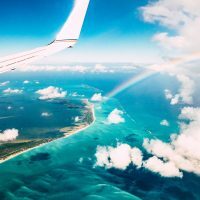 Tourism to Tulum is growing fast and the small, eco-friendly, beachfront destination has become a bit congested with traffic (that you can avoid). Many of the beachfront hotels offer bike rentals, taxis are readily available and many tour excursions offer hotel pick-ups.